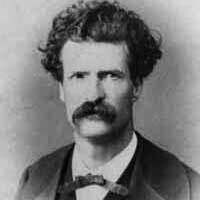 In signing his famous “letter from Carson City” on January 31, 1863, the man directing the pen morphed from Samuel Langhorne Clemens to Mark Twain with just a few wriggles of his wrist. The world of literature had gained an immortal. This was the first known use in writing of the nom de plume “Mark Twain.” The letter was directed to the editors of Virginia City’s Territorial Enterprise, Twain’s employer. It is an early example of his devilish wit and skill with the pen. 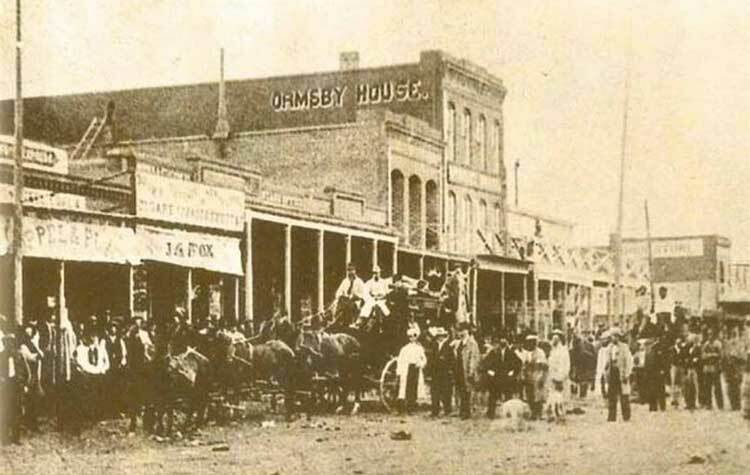 Local legend has it that Twain wrote the letter from the parlor of his brother Orion’s home at the corner of Division and Spear streets in Carson City. He did not. The home was not completed and occupied until the following year. The Enterprise had assigned Twain to cover the Nevada Territorial Legislature, so he could have written the letter from any number of places in town, including one of the bars he frequented with his pals. 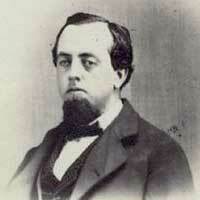 Orion Clemens was the Territorial Secretary, having been appointed by Abraham Lincoln in 1861. Although his life has been chronicled by Nevada and Twain historians, the general public—at least those who have heard of Orion Clemens at all—largely know him as the brother of Mark Twain. Yet his accomplishments during the four years he served as Secretary were fundamental to Nevada’s eventual statehood. Twain’s letter is a sketch about a party he attended at J. Neely Johnson’s home in Carson City. 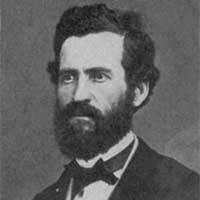 Neely, the fourth governor of California, had moved to the Nevada Territory in 1861 to resuscitate his political career. 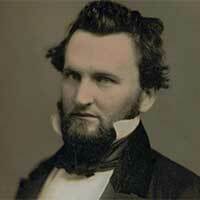 He became a member of the Nevada Constitutional Convention and was a leader in the run-up to statehood. He later served on the Nevada Supreme Court. Describing Johnson’s party, Twain says in the letter that after engaging in small talk and dancing a quadrille, “I smelled hot whisky punch, or some thing of that nature. I traced the scent through several rooms, and finally discovered the large bowl from when it emanated. I found the omnipresent Unreliable there, also.” Friend and fellow reporter Clement T. Rice had had the temerity (at least to Twain’s mind) to criticize a Twain report on the doings at a session of the Territorial Legislature. Twain had written in response that Rice’s comments were a “festering mass of misstatements, the author of whom should be properly termed the ‘Unreliable.’” Rice was thus and evermore the Unreliable when he appeared in Twain’s writings. 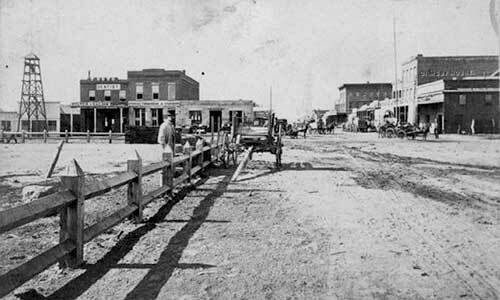 Carson City 1863; Second Street looking west. After supper the party-goers devolved to the parlor for music, to be supplied by the guests themselves. Knowing that the recipients of his letter—the staff at the Enterprise—would recognize the party people he is writing about, Twain indulges in some tongue-in-cheek fun. This part of the letter, humorous as it is, gives one a good feel for the way in which the elite in towns in the territory entertained themselves in those days. As time would tell however, this was in fact a consequential performance; it was a harbinger of things to come in the career of a man who would become the nation’s best-known writer. Years later he would often sit singing a little gem from a horse opera, seemingly oblivious to the crowd, as the curtain opened on one of his lectures, the whole of which set him on the road to fame. When he signed the letter from Carson City, America had its Mark Twain, and Tom and Huck and Becky Thatcher and Aunt Polly would come along to loom large in literary lore.